Waidring has everything you need for a perfect ski holiday: perfectly groomed slopes, modern lift facilities, untouched nature and a picturesque panorama view! Skiers and snowboarders can pick up the proper equipment and all their protective gear at the INTERSPORT Rent ski rental shop. 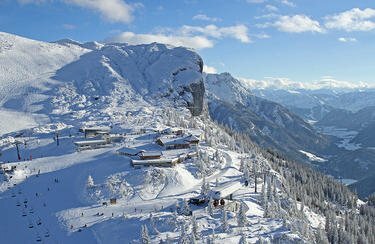 The small ski resort Waidring is a part of the ski area Steinplatte-Rossheim-Winklmoosalm at the border trangle Tyrol, Salzburg and Bavaria. From Waidring you can start into the winterly enjoyment by using the modern one-cable-railway. Before getting started get your skiing equipment at the ski rental of INTERSPORT Rent in Waidring. With an adequate skiing gear, nothing stands in the way for ultimate fun on the piste! Would you like to do a sidetrip to Germany? No Problem! Thanks to its ideal position in the border triangle you even can easily, down to your whim, visit the legendary Winklmoosalm, the home of Rosi Mittermaier. 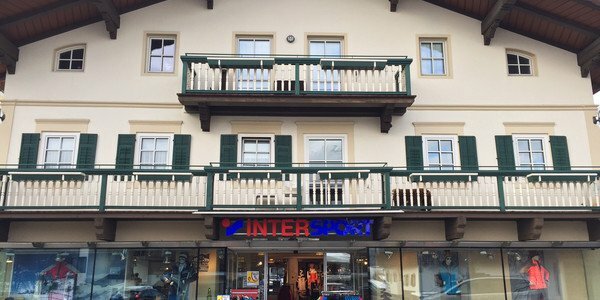 Take advantage of the ski rentak offers of INTERSPORT Rent in Waidring and let your ski get checked by winter sports experts - because exploring the many-sided surroundings is more fun with a fast, edge-and covering-served ski!